Snorkeling Trip Available every Day from 8:00 am, Private tour includes Pick up service from your hotel and return, Transfer by a private air-conditioned vehicle, Entrance fees, Guide assistance, snorkeling equipment, Lunch with bottled water and soft drink and All taxes and service charges, Tour excludes Any extras not mentioned in the program and Tipping. 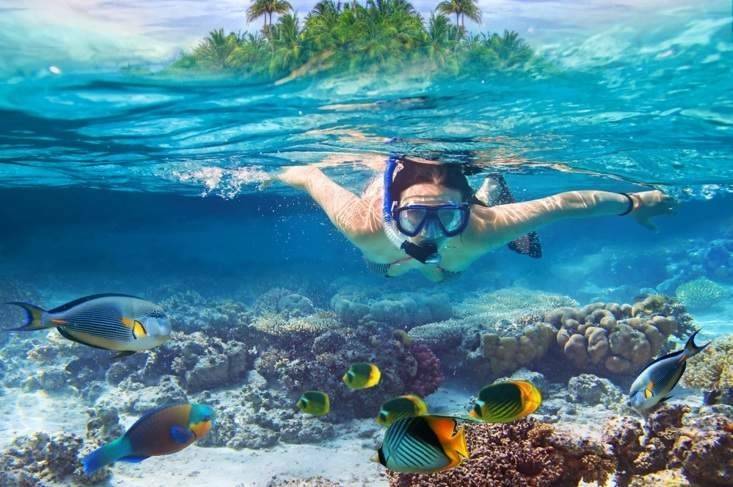 From your hotel in El Gouna or Hurghada our guide will take you to Sharm el Naga Bay, where you can spend a day enjoying the beautiful beach, clear water, and diverse sea-life on beautiful coral reefs. Sharm el Naga provides great shore diving as well as on-shore recreational facilities. EMO Tours representative will pick you up from a hotel in Hurghada or Gouna by an air-conditioned coach for a romantic trip to Sharm El Naga bay with its beautiful coral reefs and its crystal clear water, sandy beach, a protected house reef for snorkelling and diving of untouched environment and the ideal place for water sports such as swimming and snorkeling, you may play volley ball, petanque and darts or you may enejoy a horse or camel ride the playground is especially designed to be safe and entertaining for your kids then drive back to your hotel in Hurghada.